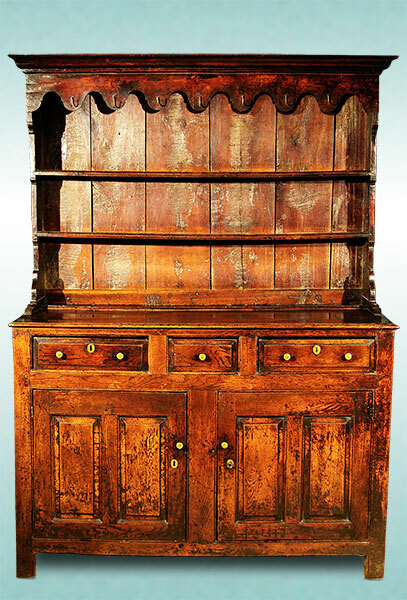 A rare and important oak inlaid cabinet, an example from a small group of dated cabinets of drawers made between 1646 and 1665. This example is the earliest on record we know of. The exterior decoration is in outstanding condition and with good colour. An example of the work can be seen in the V & A Museum, dated a few years later. A further cabinet, dated 1647, illustrated in 'The Dictionary of English Furniture' was in the possession of Consuela Vanderbilt (9th Duchess of Marlborough and later Mme Jacques Balsan). Evidence of construction, timber types used and architectural detail suggest these cabinets were all made in the same workshop. 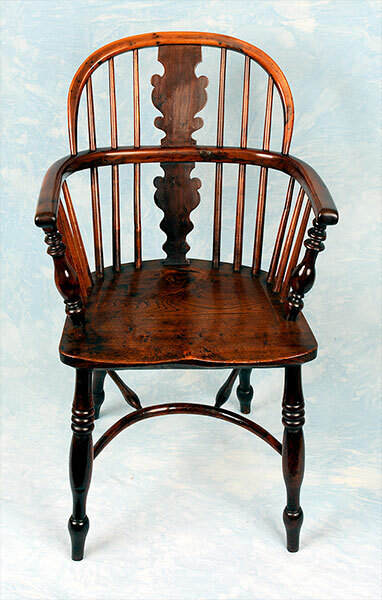 A good set of six yew wood low back windsor armchairs with crinoline stretchers. 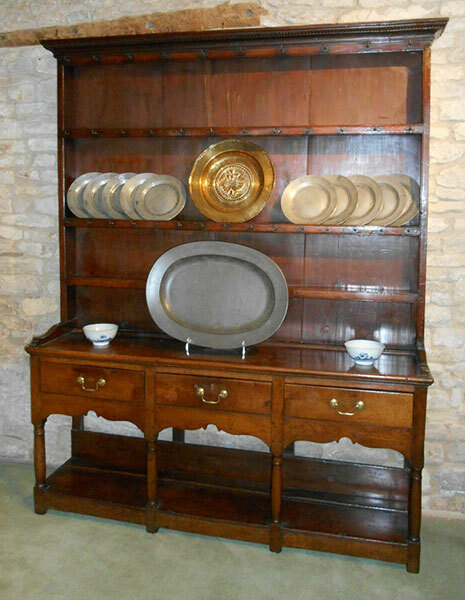 A good oak and pine pot board dresser with three drawers, on turned front legs and with rack with original brass hooks and backboards. In good condition and with good colour. Handles later replacements. An outstanding, richly patinated, small cupboarded dresser. The rack with boldly scalloped frieze and iron pot hooks. With three drawers over two cupboards, the doors with raised fielded panels. Exceptional colour and condition. English or Welsh. Circa 1730. 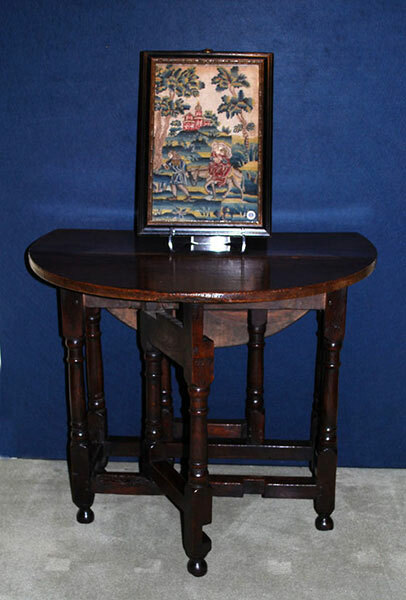 A very attractive small oak gate leg table. In fine condition and with good patination. 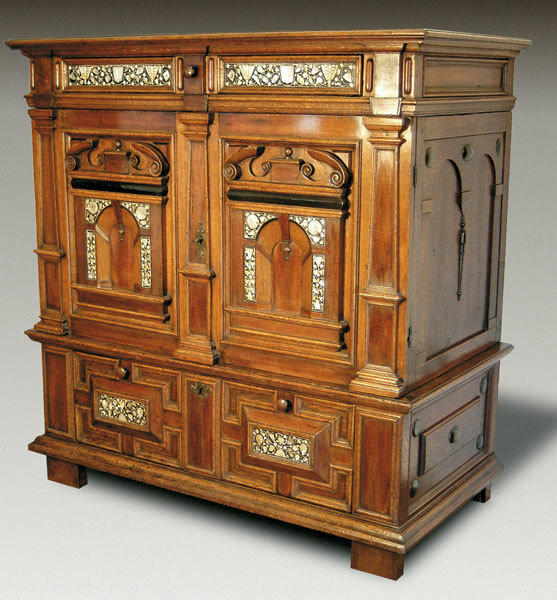 A good and unusual oak lowboy on four cabriole legs. The back legs flattened to stand against a wall. 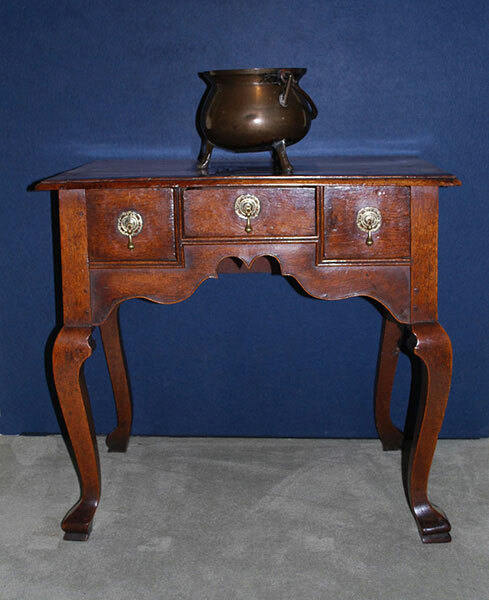 With three drawers in conventional 18th century lowboy style. Good colour, patination and condition. Handles old but later replacements..